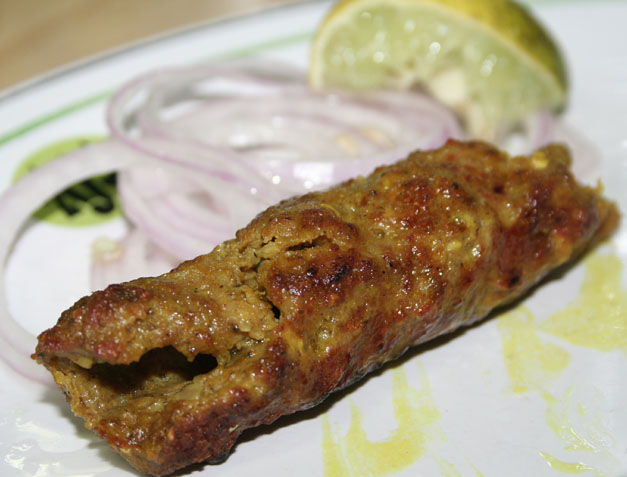 A simple recipe for traditional sheek kabab lovers. Mix all the ingredients well. Adjust the quantities of bread/eggs so that the mixture holds well on skewers. Bake in the oven (350 F on broil setting) or barbecue them until they are well done. Alternatively, you can shape the mixture into lemon sized balls and deep fry on medium heat. Serve hot with mint chutney or Tomato katchup and garnish with lime(slices).